After a successful lift-off on Sunday afternoon out of Vandenberg Air Force Base in California, SpaceX attempted to land the first stage of its two-stage rocket for a second time in a row, but the attempt was unsuccessful. Seconds before the rocket was to reach the platform, the camera on the drone ship froze, which means footage of the landing is pending at the moment. After successfully boosting the second stage and its cargo to space, the first stage booster turned itself around for re-entry performing a series of engine burns to slow down as grid fins and GPS tracking helped guide the rocket to a drone ship floating 186 miles (299 km) south of the launch site in the middle of the Pacific. But according to the latest announcements, it appears that one of the landing legs broke upon touch down because the rocket was coming in too fast, suggesting that the touch down was unsuccessful. More information is expected to be announced as it comes in over the next hours and days, so stay tuned. This second attempt at two successful landings in a row would have proven that SpaceX’s first rocket landing – performed on December 21 of last year – wasn’t luck. Now, it’s back to the drawing board. 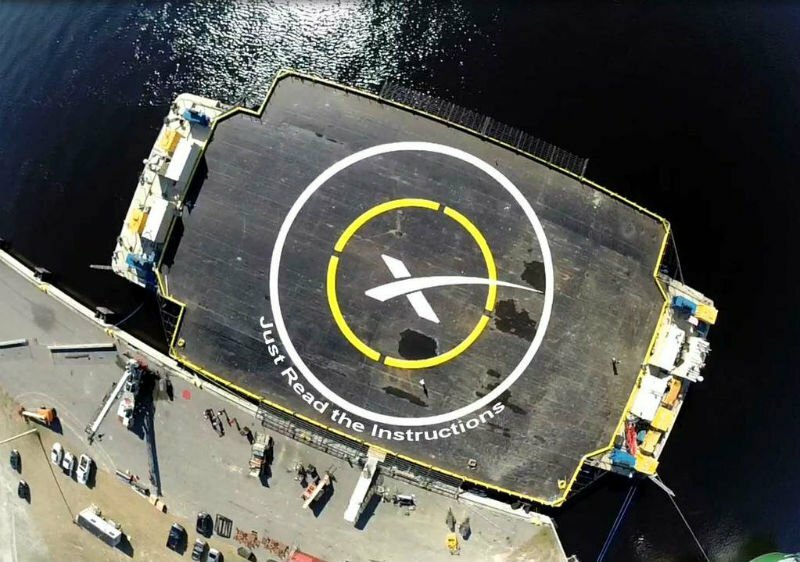 To be fair, Sunday’s landing attempt was more difficult because it happened on a floating target: One of SpaceX’s un-crewed autonomous drone ships located in the Pacific, 186 miles (299 km) south of the launch site. Last year, SpaceX attempted this same landing twice, and did not succeed in retrieving the rocket. Both times the first stage exploded after reaching the platform. Elon Musk, owner and founder of SpaceX, said that landing rockets on these drone ships is critical for high-velocity missions, which refer to mainly commercial satellite missions, wherein the Falcon 9 has to transport its payload higher above Earth’s surface than it would on a cargo transport mission to the International Space Station, for example. Therefore, we can likely expect to see more rocket landing attempts like this in the future.